eco Urban Timber LLC was formed in response to a problem looking for a solution posed by the city of Eau Claire. Due to the arrival of the Emerald Ash bore the city is in the process of culling over 40,000 Ash trees within the next ten years. Eco Urban Timber LLC acquires hardwood logs from the cities of the Chippewa Valley and local arborist. Logs are used internally by eco Urban Timber for hand crafted wood products that we sell locally at art shows and retailers like the Local Store in Eau Claire. We also ship nationwide from our Etsy store. Since the expected volume of Ash lumber will exceed our production needs, we expect to sell kiln dried slabs to local craftspeople, artisans and K-20 art programs starting in late 2019. 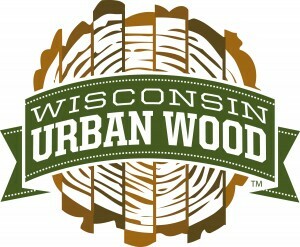 We are a proud member of Wisconsin Urban Wood. eco Urban Timber LLC | Powered by Mantra & WordPress.